The carpenters at The Sign Maker make thousands of wooden signs. 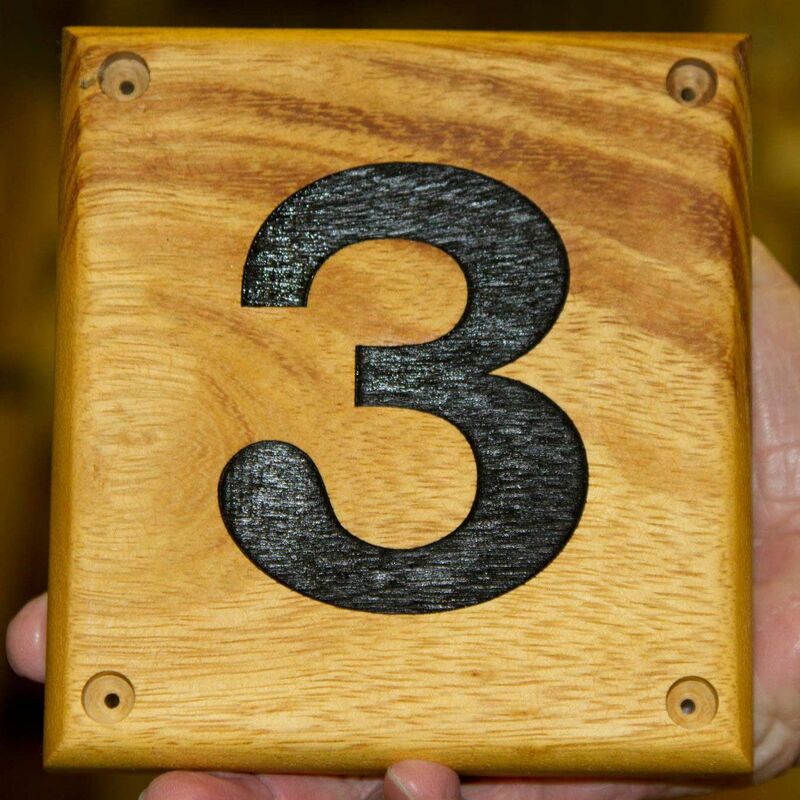 House number signs may be small but why not have one which is completely unique. Include an image or maybe some extra text - eg your family name - THE HARVEY FAMILY, or perhaps something amusing. Its up to you - we can make or engrave vitually anything! and we will contact you before we process your order. These wooden house number plates look fantastic next to any front door, Available is a selection of timbers. Our range of elegant wooden address signs are perfect for the smaller sign or when you require intricate detail. Create the perfect house sign with one of our beautiful rustic slices.